We are giving away a pair of tickets to Truth I’d Dare @ Revolution Hall on February 3 . To win, comment on this post why you’d like to attend. Winner will be drawn and emailed Monday, January 21. Inspiring women, love to hear their viewpoints! I’m a book nerd! Would love to go and hear these authors! This looks great. I’m super interested! I’m planning to come to Portland to celebrate my birthday this would be an awesome addition to my plans ❤️Ty for the chance to enter! Wow, This is going to be amazing!! I love slumber parties and this would be the ultimate guest list! For an erstwhile English major, I’ve been in a literary slumber far too long, while digging proverbial ditches to pay the bills. This event would wake up my under-used creative juices, thanks to these excellent wordsmithy role models. I dare you to give me a ticket to attend this event! I’d love to be in the company of these lovely ladies. I would love to take my dear friend out to this event. She would be stoked to see all three women speak and we could certainly use a night out together. I love literary events and I love the Revolution Hall. Please consider! These are some of my favorite authors, I would love to attend! Sounds like a very cool event. I would love to attend. Count me in, would love to hear them! This looks awesome! I love these authors. Would so love to go! WOW!!! Awesome! Would REALLY LOVE to attend! Thanks in advance! Cool, I’d like to go. Oh please! I’d love very second. What a magical lineup! Hells yes. “Wild” inspired my tattoo! I would love to spend an evening sharing space with these inspirational women! This sounds like an amazing event! I would love to go and support these astounding women! Thank you for the opportunity! Love these ladies and could use a holiday treat! Sounds like a great evening out to me! I adore all 3 of these amazing women and would love to see them together! Love me some Cheryl Strayed whenever I can get it! This would make my 2019 year start out with a bang. I would love to see these brilliant women on stage. Would love the free tickets!! Looks like a great event!! This would be an incredible and inspirational set of tickets to win. I got laid off before the holidays, and this would make my month. Oooh this looks like an amazing event, I would love to hear them speak! I would love to take one of my oldest girl friends to this event! Thank you for the chance :>. This sounds like so much fun! Would love to be inspired by the stories from these amazing women! What a lineup! It would be amazing to meet these authors in real life and hear their stories! Putting my name into the hat. Looks like a fun event. I teach a Contemporary Public Address class and all three of these writers have been figures students have focused upon for their final projects! Long been a Pam Houston fan, can’t understate the influence of Cheryl Strayed and inspired by the writings of Lidia Yuknovitch! Would love to be witness to this conversation. I would love to share with my man some work by these awesome and very real women. This would be a fantastic event to bring a friend to. I’m a third grade teacher at a Title one school and I need inspiration. Plus I love these women! What a wonderful event to bring my daughter to! We all need to spend some time with beauty and kindred souls in order to drown out all the negativity and hatred. My friend is very literate and she would like this. I would love to go to this literary event! This looks really cool. I’d love to be considered. Yasssss, these are inspirational queens, and I want to bask in their glory! I’d love to hear these inspirational ladies speak! After a grueling year full lots of reflection on what it is to be a woman in this world, it would be amazing to see these powerful women speak and propel me into 2019 feeling empowered. It’s so great seeing so many women finding their voice. I’d love to hear their stories. Would love to see these amazing women! Time with three of my favorite authors! Intimate conversations with amazing women…I’m in! Wow!! I’d love to see these literary goddesses. Oh, please pick me! Love all three of these authors! This would be an amazing, revealing and hilarious night with three women writers! Strayed has kids who went to my son’s elementary when he was younger, and she did a fundraiser reading event. She gives a lot. Would love to go! These women cut me wide open. Pick me! I would love to go and enjoy this event! My friend & I would LOVE to go to this! Woa! What a lineup. Would love this. I’d dare you to let me go for free! Three smart women and stimulating conversation…throw me this life raft for one night of reprieve from the daily grind of mediocrity. I’d love to go! It would be a great break from grad school! This sounds like such a good event and I would love to win tickets. Would love to witness the conversations between these powerful creatives! Just recently reopened my love for reading. I would love to see these strong female voices live sharing their stories. Yes please and thank you!!! A riveting evening is in the cards! Cheryl Strayed is one of my favorite writers (and podcasters–Dear Sugars has helped me through a couple big decisions in my life). Lidia Yuknovitch is the most daring and innovative writers in Portland, and one of the most currently influential writers out there. Would love to attend!! Amazing authors, I’ve enjoyed their books and have been wanting to see Revolution Hall! I’ve been surrounding myself with strong female energy, and this show would be right in line! I would love to take my sister on a birthday date. I would be very grateful to win tickets for this literary event. Having moved to the Oregon coast from the NY area I have often felt in a quagmire of a paucity of intelligent and fun offerings. This sounds fabulous. The free tickets would allow me to offset the cost of lodging to attend! It sounds like a great event! Chronology of Water gutted me. As a single parent I need this… the dare to lead! What an amazing opportunity to support women’s voices and add my own! I hope I win! Thank you for the opportunity to win.this looks like a night to remember. This looks great, I’d love to attend! I would love to win tickets and bring my wife. She is a booklover and would find this most fascinating. Saw once Lidia Yuknavitch. I really recommend meeting her and hearing her story. This is exactly the sort of Portland evening we need in the dark of winter. Pick me! I would love to go and start my year off right with some inspiring, powerful and talented women! I would love to attend this inspirational talk! An opportunity to spend time with 3 amazing authors…yes! would love to learn about this! I want to go cause I want to hike the PCT next year and I’d love to hear a first person account. 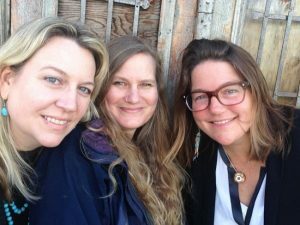 Plus, you know, three amazing, strong women writers!! I’m a High School English Teacher and this could hopefully help provide some inspiration to spread on to my students! Yes, yes, yes!! The more inspirational women in my life the better! This would be so cool to win, I’d bring my bestie! Would love to hear from these amazing women and take my best friend as a gift because she has done so much for me. We would like to go to this. South like a wild night! +surprises?!? As a women working in a male dominated industry I’d love to see this speaker! Cheryl Strayed is one of my personal heros – I would love this chance to see her live and go to this unique event!! Sounds like a really excellent literary experience. This sounds like an amazing event!! What a cool lineup! Would love to hear stories by these women. I’m super stoked about this event! I’d love to win tickets to attend. These women are true inspirations . I would love to be graced with this experience. Lidia is my writing and life hero, I’ve got one of her idol candles in my shrine! Cheryl is also brilliant and real, which means Pam must be incredible too. 92 days sober today- what an amazing treat this would be. I loved Cheryl’s book (the movie made from it was nice also, but not as good as the book! )..Would love to hear what she has to say, alongside two other iconic female writers! I would love to hear these inspiring women! Please! How wild it would be, to hear Cheryl and these incredible women speak in person. Some people have lists of books they love. I have a list of books that woke me up. Wild, Tiny Beautiful Things, The Chronology of Water, & Cowboys Are My Weakness are all on that list. I’d love to hear these amazing authors in conversation, & I’d love to take my mother, who introduced me to all of those books. Awesome event I would love to attend!